The Magneto Volume Trigger indicator is designed for determining the volume confirmed by the candlestick pattern and predicting the trend tendency. The calculation of values is affected by two parameters - Period and Gate. The lower the value of Gate, the higher the sensitivity of the indicator. Period allows making a sample of data for the specified number of candles. 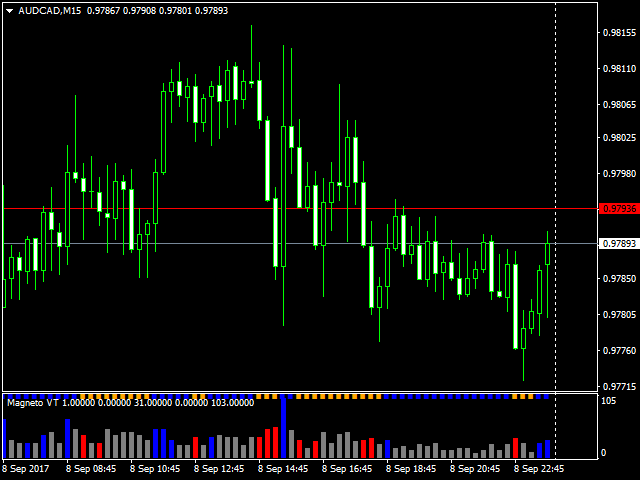 The lower the value of Period, the more the indicator is adapted to the current market conditions. 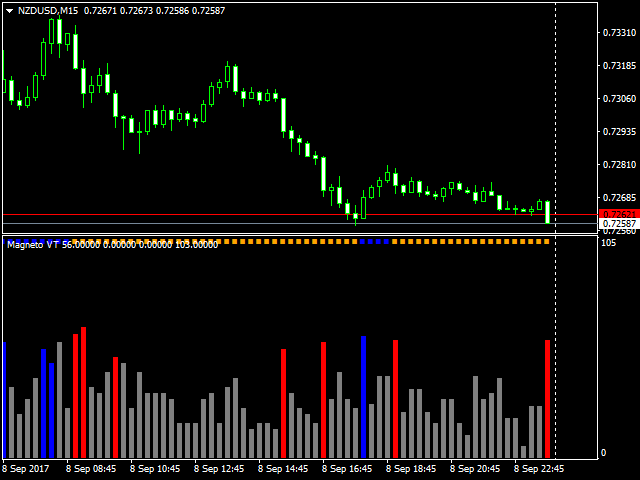 In the indicator window, it is possible to track the expected trend, as well as enable the notification on trend changes. 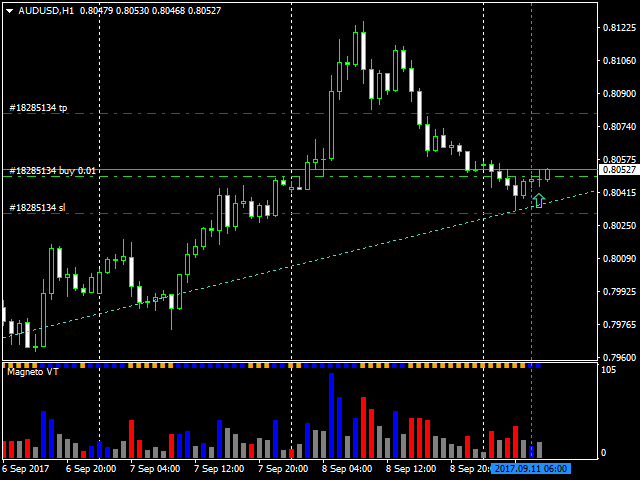 The indicator values can be used not only for opening positions, but also for determining the moment for exit. 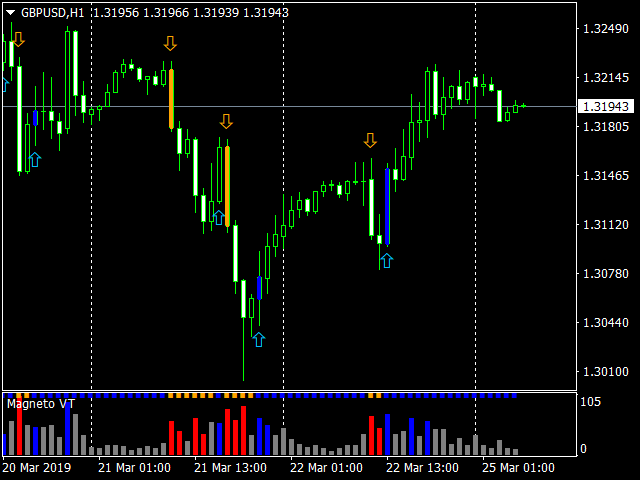 For example, if you open a buy order using the indicator signal from the H1 timeframe or based on your strategy, the order can be closed based on a signal from the smaller timeframe. Period - data sampling range. Alert - notification on trend changes. Добавлены: сигнальные стрелки на основной график, цветная индикация подтверждающих паттернов, различные виды уведомлений.